I've taken a little break from blogging lately. Not really on purpose. Just because I've been so crazy busy! 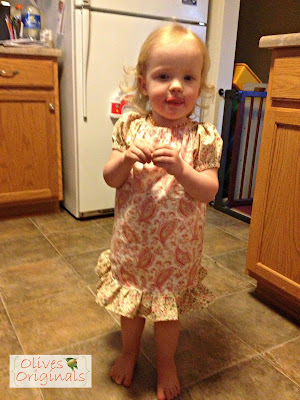 I did finish the dress(es) I made for Little O. And I've got a few more in the works. But now that her Morning Out program is over for the summer, I'm just not sure when I'll find the time to sew! I know, this isn't the best picture. Sorry. It's the only one I have! Turns out, a 2-year-old isn't the greatest model. I'm still involved in a monthly whole-foods supper swap. All the meals have been AMAZING! And it is so nice to have one or two meals a week that require no thinking and very little effort. And since they are all made with whole foods, I can feel good about feeding them to my family. We got an upright deep freezer for the garage. So that's where we store our freezer meals. And we also went in on a half of a locally raised cow. So we keep all our meat out there too. And the massive quantities of chicken stock I've been making. In other news, Little O broke her leg. On Mother's Day. Happy Mother's Day! 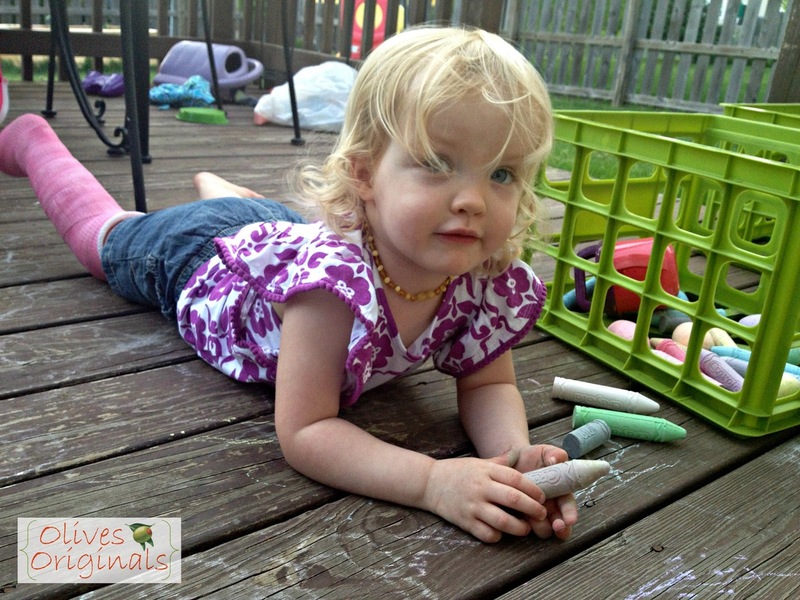 She fell off a piece of playground equipment (while trying to turn over onto her belly to slide down). She fell less than two feet. We wound up in the ER for several hours, and she wound up with a pink cast up to her mid-thigh. Good thing I got those dresses done because getting shorts over her cast is a bit of a chore. Although some days she insists that's what she wears. She's in good spirits. And the cast will come off in just three more weeks. In the meantime, we're keeping busy with lots of sensory bins, sidewalk chalk, the library, and play dates with friends. And the Toddler Busy Bags from the exchange I hosted a few months ago are really coming in handy! She spent the first day snuggled up on the couch watching Sesame Street and reading books. But by the second day she was crawling around all over the place. And yesterday, she started walking on it again. It hasn't really slowed her down much. 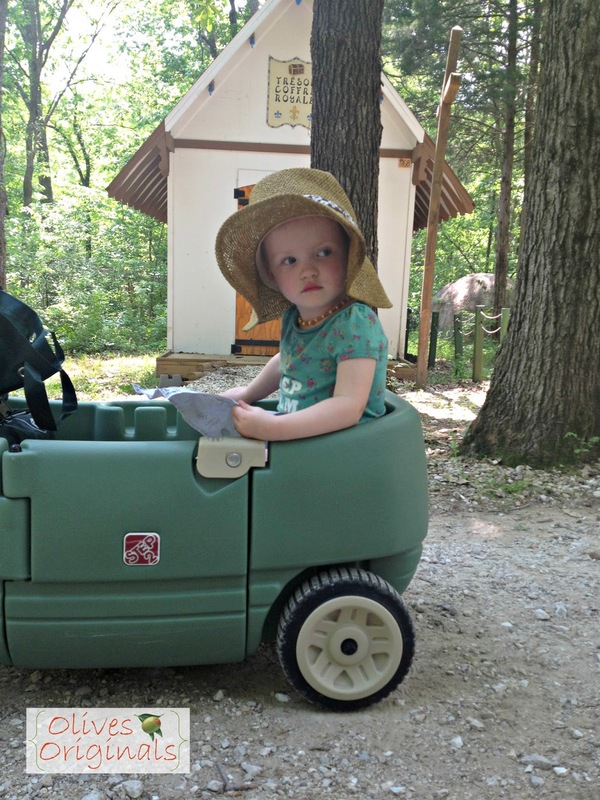 We even took her camping last weekend with some friends. 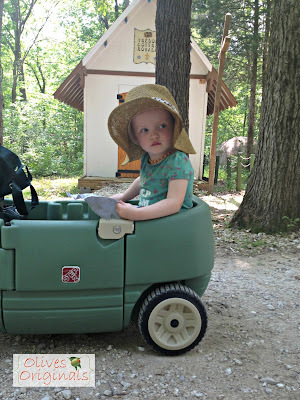 The wagon came in really handy while camping! We found it used for $25 the day before we left for our trip. SCORE! We kept her cast clean with a large men's sock pulled up over it. She actually really liked the look and wanted to wear one on the other leg too. Anyway, hopefully I'll find some time to get back to crafting soon! I've been missing it. And my craft room has been lonely.